Electrician's Knife, manufactured by Lindblom's Knivar, Sweden. 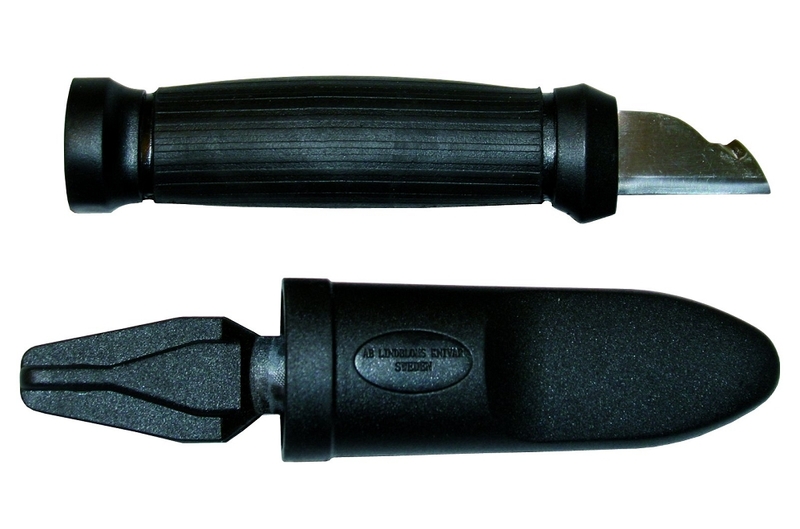 This handy electrician's knife is designed by Lindblom's to be perfect for cable stripping. The grind on the knife and the handle work together to provide an optimal tool for stripping electrical cable. The short stiff blade features a double sharpened hook. The steel is of very high quality stainless steel which is hardened to HRC 58-60. This knife makes a great accessory to your workwear, and puts the functionality of the pants to a new level.